The nearly 40-year-old helicopter that is the centerpiece of Army aviation is getting a control panel that rivals a brand-new Lamborghini. 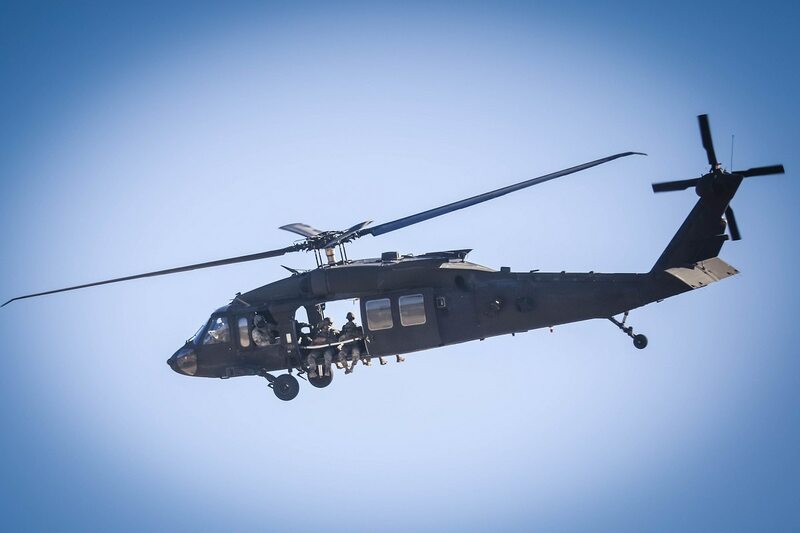 Soldiers with the 82nd Combat Aviation Brigade out of Fort Bragg, North Carolina, recently conducted tests alongside experimental test pilots from Redstone Test Center, Alabama, of the new digital systems on the UH-60V Black Hawk helicopters. The system will upgrade the existing navigation suite, install a digital integrated glass cockpit and replace the decades-old analog controls, according to an Army release. The prototype testing is informing an initial operational test and evaluation of the upgraded Black Hawk, scheduled for late 2019, according to the release. Derek Muller, a Black Hawk test officer with the Army’s Operational Test Command Center, said that the testing helped evaluators observe how pilots interacted with the new system. 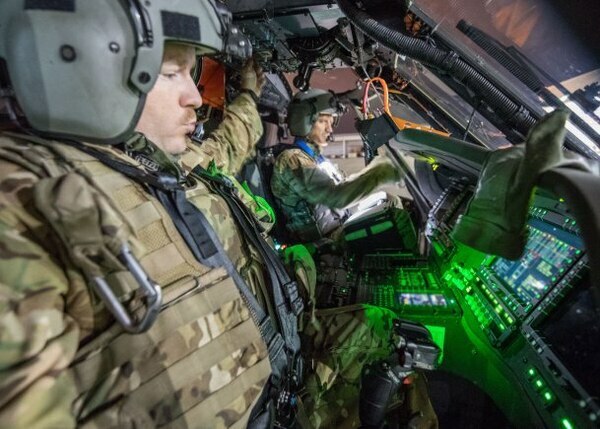 Pilots ran through a range of scenarios during the testing, including air movement, air assault, and external load missions under day, night, night-vision goggle, and simulated instrument meteorological modes of flight, according to the release. 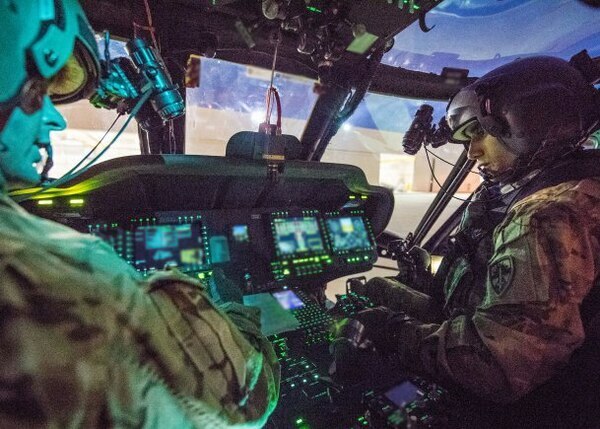 The test also included threat simulations to simulate the helicopter’s survivability equipment and induce pilot actions using the updated capabilities. Ground crews from the 82nd CAB hooked up sling loads during some of the missions, testing the new cockpit displays while carrying an external load. Maj. Michael Pinter, a Redstone experimental test pilot, said after an air assault mission that the multifunction display acted as his navigator during the test.